On Tuesday night, behind closed doors…. 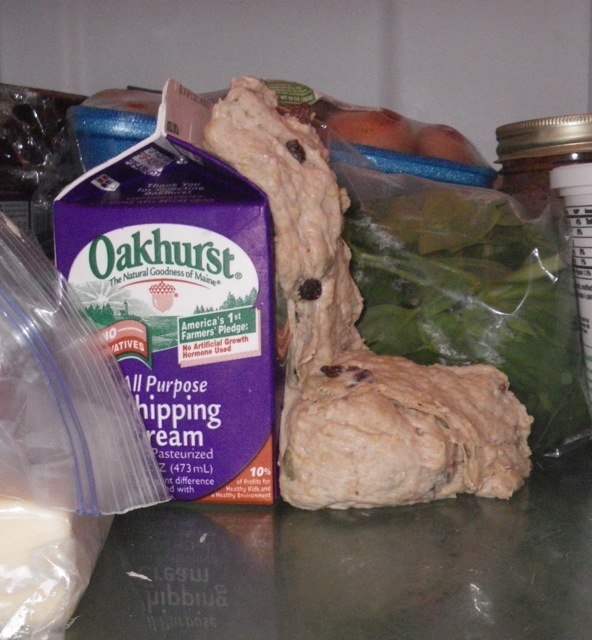 …well… behind the closed door of my refrigerator…. 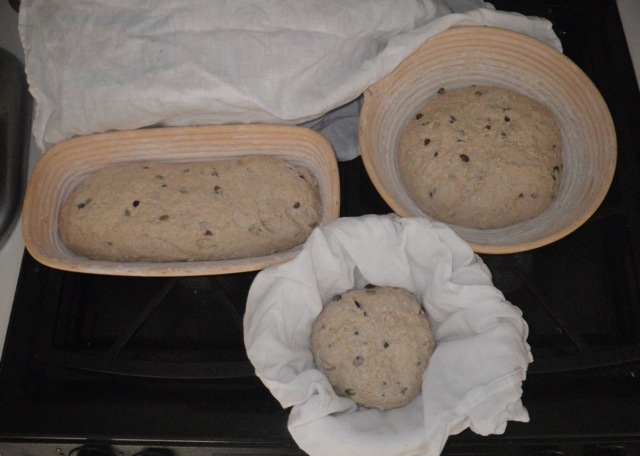 …my bread dough went to town. Busted right out of the container and created a sticky mess. I closed the fridge, did some stretches, and then went back to deal with it. 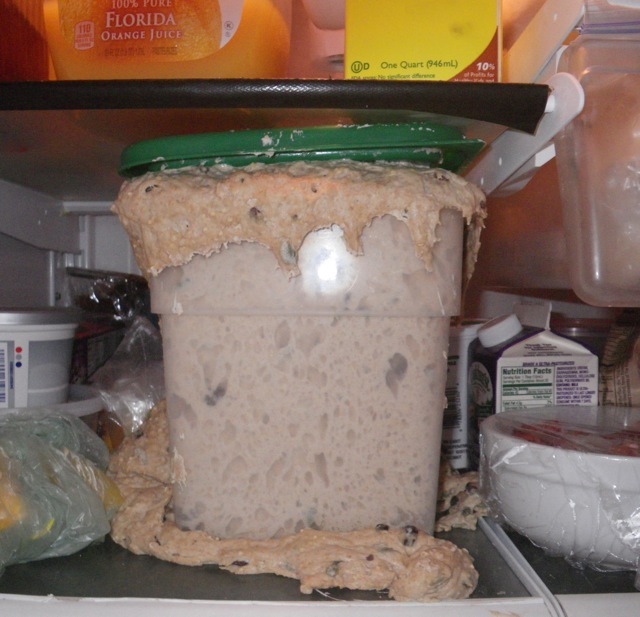 Even after removing the dough container, there was still some dough left behind. Next time I try to double a new recipe, I should probably double the size of my rising container. Yum. 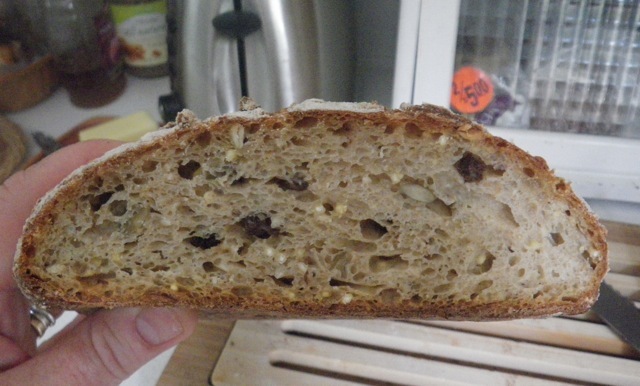 Sourdough rye with currants, oatmeal, millet, pumpkin seeds and sesame seeds. It really didn’t misbehave after all. I wish I could crawl thru my computer screen right now for a taste of that….yummy! Even your bread is creative! And it looks so delicious. I’m a sucker for millet. Ha ha! I’m a sucker for millet too!